If you want to book your place/s, please send us your Name/s to reserve, specifying date and venue, Thank You! 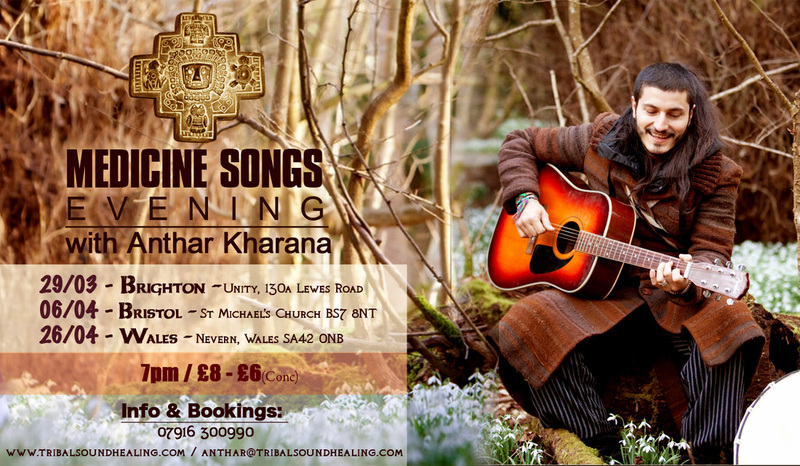 An unmissable evening of sacred ceremonial songs arranged by Anthar Kharana (Colombia) who works alongside different Elders from his native land. You wont resist to join in with your FREE Lyrics booklet! The intention of this evening is to set the purpose as a medicine wheel to unfold during the Spring Equinox. These songs are mostly sang in healing ceremonies around the Americas and some are Anthar's own compositions. 7pm - 10pm / £8 - £6 Conc.